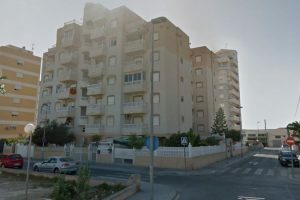 This cheap studio apartment is just 500m from the beaches of Torrevieja. 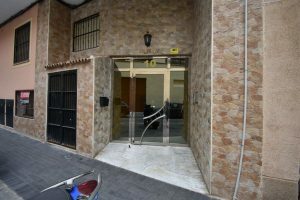 it has a total living area of 28m2 and is located in an urban part of the town. The property is sold furnished. 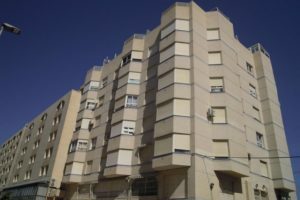 This studio apartment with garage is for sale in Torrevieja. 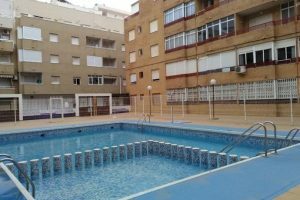 It is located close to all amenities, including bars, restaurants, shops, schools, medical facilities, and the bus station. It is also just a short 1km walk to beautiful sandy beaches. The property is South-facing. 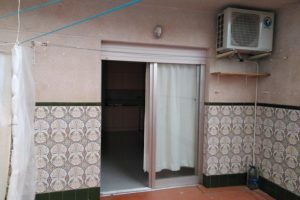 It has two double bedrooms with fitted wardrobes and a bathroom. There is a spacious living / dining area. 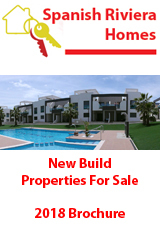 It is sold with a fully equipped kitchen.